The Portland Building, designed by Michael Graves and built in 1982 as administrative offices for the City of Portland, is an award-winning, iconic design of Post Modern architecture. The building was later placed on the National Register of Historic Places as a building of “exceptional importance,” but over time it faced problems with its structure, exterior, and operational systems that repairs alone could not address. 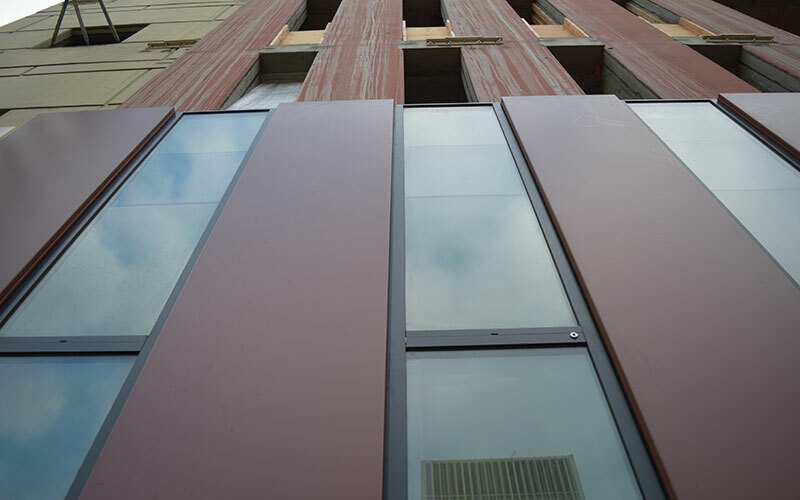 Benson Industries was selected to join the project team of DLR Group and Howard S Wright to re-clad the façade with a curtain wall system that aesthetically was faithful to the original look but with high thermal, air and water performance properties consistent with Benson Industries standards. Over the last few months, our field crew led by Superintendent Charlie Graham, has been surveying and prepping the site by installing new anchors in the existing poured-in-place façade. 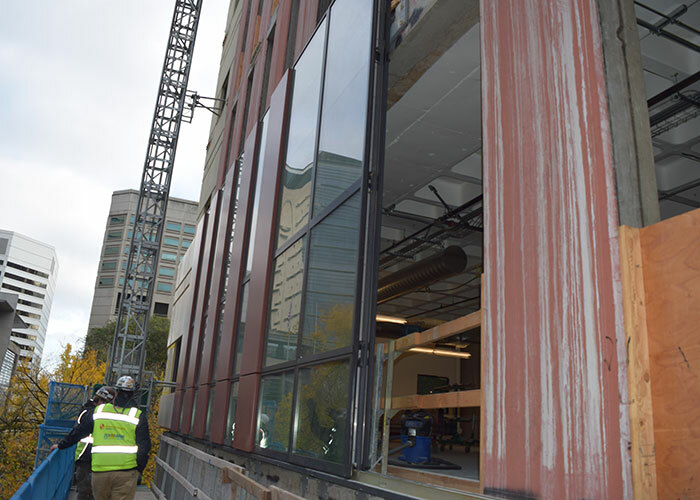 This week, the Benson team started installing the first curtain wall units. 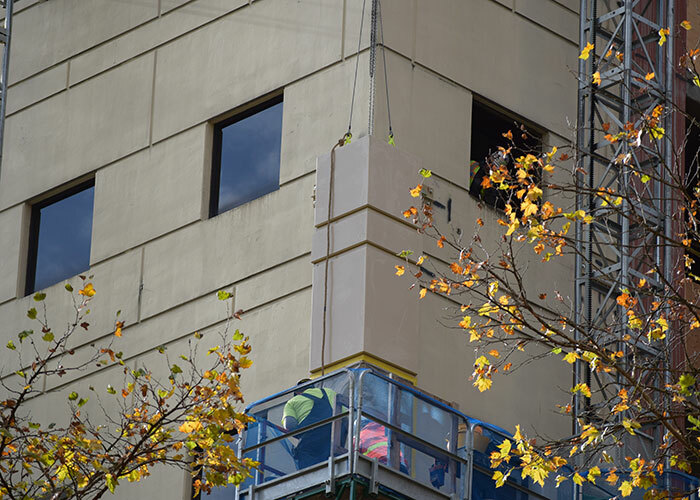 Curtain wall unit being hoisted in place with the tower crane. Corner unit in place. 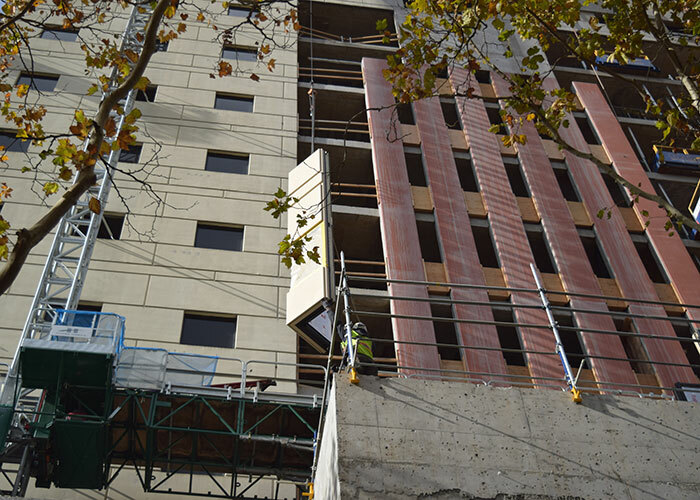 The metal panel finish closely matches the original painted concrete facade. 1st row of curtain wall units in progress.